Moin currently works for DZCRD Networks Ltd. Before that he used to work for 1Asia Alliance Communication Ltd as Head of Core Network Infrastructure. 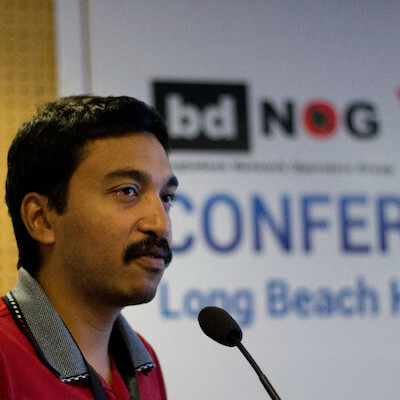 He also worked for Telnet Communication Ltd, a nationwide data service provider in Bangladesh, for 5 years. He completed his CCNA in early 2000. Since then he has attained a number of industry certifications. Moin’s core expertise is on FreeBSD Operating System, Routing & Switching, MPLS, Virtualization & Cloud, SDN etc. In his leisure time he works as a FreeBSD port maintainer. Moin is a regular contributor to APNIC training activities and shares his knowledge as a volunteer community trainer. Guest Post: Discover what’s involved being an APNIC Community Trainer.